Wait Until Dark is the story of Susy Hendrix, a recently blinded housewife who unwittingly possesses a doll filled with illicit drugs. Harry Roat, a brutal and sophisticated criminal, coerces two small-time thugs to help him con Susy into giving up the doll. A battle of wits ensues as Susy and the young girl upstairs launch a counterplot against the thieves. 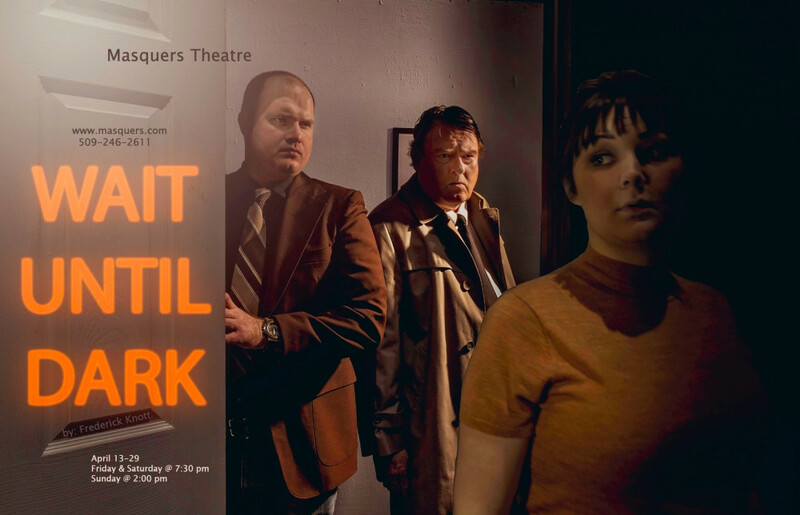 Nick Mahaney, director of last year’s hit comedy, Noises Off, collaborates with co-director Heather Rhoades to bring this suspense mystery written by Frederick Knott to the Masquers stage.